The Temporomandibular joint, or TMJ is the joint that connects your upper and lower jaw. Pain over the joint, in front of the ear, is often caused by TMJ disorder. TMJD can also limit the movement in your jaw, cause clicking when you open your mouth, shifting of the jaw, and muscle spasms. 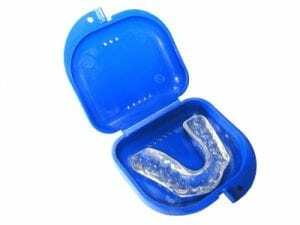 Some common treatments for this disorder are night guards or bite guards. Please let us know if you experience any of these symptoms. We will be happy to evaluate your situation and determine the best option for you.